MND: If You Want to Buy a House, Get Married. A Flawed Solution? It is very interesting to listen to what Minister of National Development (MND) Khaw Boon Wah had shared at the parliamentary sitting yesterday. In two written answers to parliament, you can immediately understand their strategy and the disjoint in their statements. He also said that of the “18,000 singles aged between 35 and 40 bought HDB resale flats” over the past 10 years, 21% got married subsequently. The contradiction lies in this – does MND want singles to “live their families” for 1) “mutual care and support” or 2) for the “promotion of marriage and parenthood”? Of course, you might say that there isn’t any contradiction, for wouldn’t “marriage and parenthood” create a family which will provide” mutual care and support”? It seems almost compulsive that MND’s primary concern is on ensuring that singles eventually get married, such that they then talk about how, 21% of the singles aged 35 and 40 who bought a flat got married anyway. So, why is the government so fixated on singles getting married? 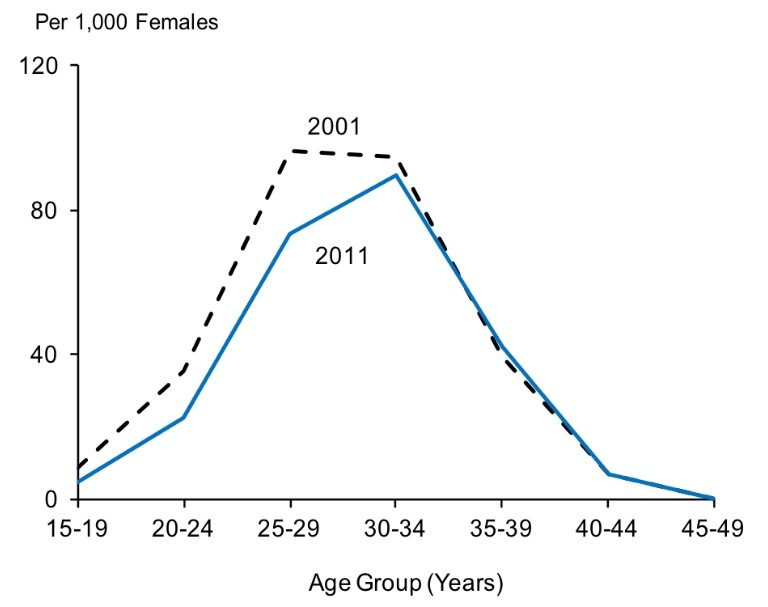 If you look at the chart below, You can see the largest drop among singles dropped from the 25-29 age group to the 30-34 age group, and the second largest drop was from the 30-34 age group to the 35-39 age group. The drop from the 35-39 age group to the 40-44 age group isn’t as big. You can see that MND is still concerned that those in the 35-39 age group should still get married from how they are monitoring if those in this age group are getting married. If you are a government, at some point, if you know you need to treat the singles with some form of respect, you would allow them to buy their own homes. Yet, at which point do you allow them to buy their own homes, without “diluting” the age of marriage? You want to peg this age at an age where if you allow them to buy them own homes, the majority of those who should get married anyway would have done so, and it wouldn’t matter anyway if they didn’t. So, just looking at the chart below, you can see how it seems logical to them to allow singles to buy their own homes at 35, since there wouldn’t be any massive increase in the marriage rate after this age. But this is if you, as a government, chooses to peg homes to marriage. But is this wise? If you look at the chart below, it will give you a lot more clarity. 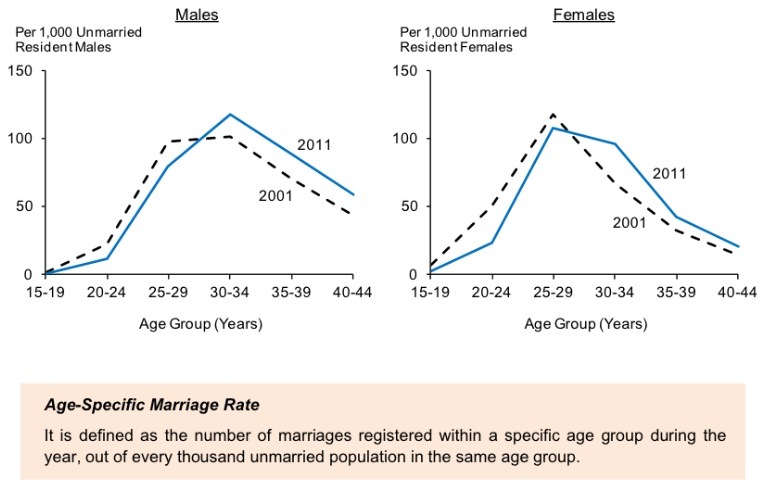 For men, the peak at which marriage occurs is at the age group of 30-34, after which it falls. 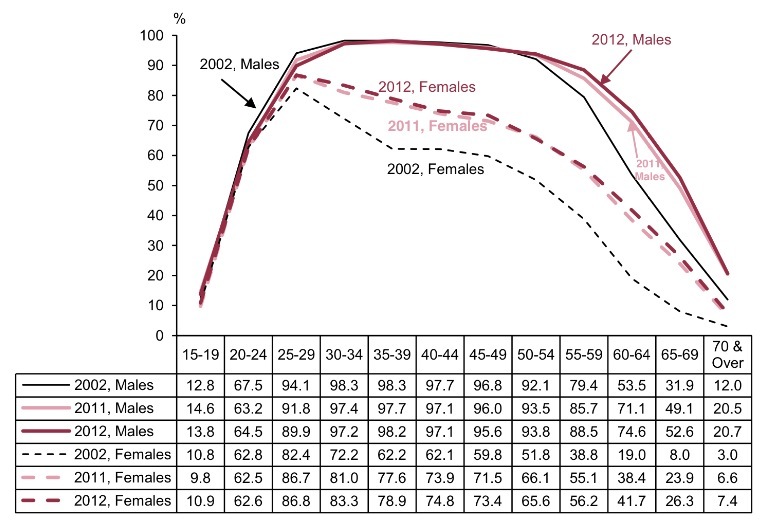 For women, the peak is at the 25-29 age group. If you were to peg your policy, you will peg it to as late an age group as you can, so that you can maximise the potential at which you can force people to get married. Of course, when this policy to allow singles to only buy flats at 35, the peak would have been at a different age group, but accordingly, the government would have planned in advance that the peak would change to an older age group, and thus had opted for the age of 35 as a good minimum age for singles to purchase their own homes. Then, the question is – would the government prefer to move this minimum age to 40 if they could? I would say they would have liked to do so, seeing how the peak has moved. This would mean that peak at which people are more likely to get married could even be in the 35-39 age group in 10 years’ time. Of course, there are other reasons that the government had chosen the age of 35 where they could allow singles to eventually buy their own homes. According to research, “Biologically, the optimum period for childbearing is between 20 and 35 years of age. After 35 years of age, fecundity decreases, and the chance of miscarriage, spontaneous abortion, pregnancy complications, and adverse pregnancy outcomes (including PTD and multiple birth) increases.” So, optimally, as a planner, you would want women to give birth by the age of 35. If you look at Chart 3, you can see that this policy of preventing singles to buy their own homes before the age of 35 does indeed have some effect into creating the peak at which fertility rates peak to be at the age group of 30-34, before women reach the age of 35. The minimum age at which singles are allowed to buy their own homes could also be tied to their ability to own their own homes. If you look at the age at which wages start to peak in Chart 4, you can see that the peaks of income would begin in the 35-39 age group. So, logically, this would be when they would be financially stable enough to purchase their own homes. Of course, the age of 35 could simply a psychological measure. If you would only allow people to buy their own homes at 40, will it ‘pacify’ them? Anecdotally, we hear that at 30, many of them would still be focused on their careers, as that would be when they are starting to make a name for themselves. By the late-30s, they would start feeling stable enough and would then start thinking about owning their own homes. 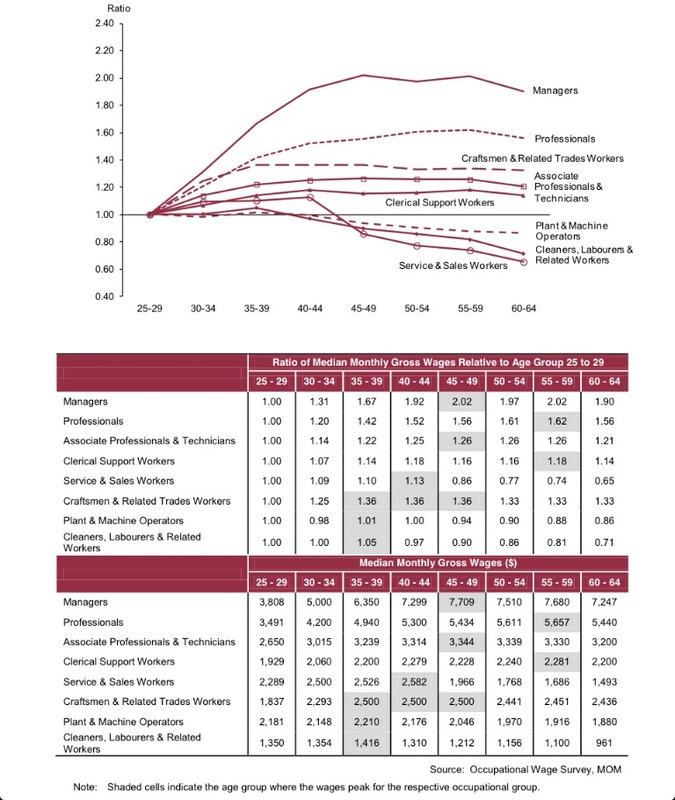 You can see in Chart 5 that the peak of the ‘career age’ is theorised to be in the “late 30s or early 40s”. However, as I had mentioned, is it wise to tie the age of allowing singles to own their homes according to the age at which marriage peaks? In other words, should we encourage people who want to own their own homes to get married earlier just so that they are able to do so? The question we need to ask is – is this healthy? 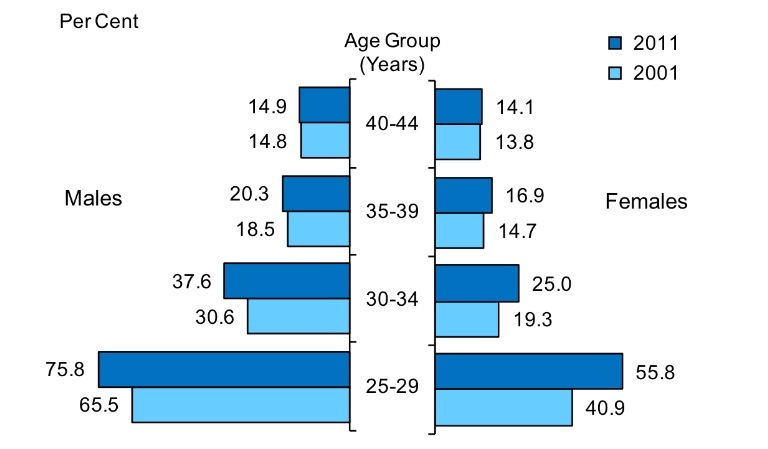 Based on the chart below, you can see that the rate of divorce is higher among those in the 20-24 age groups, and indeed, in the 20-34 age group. The divorce rate only stabilises from age 35 onwards. 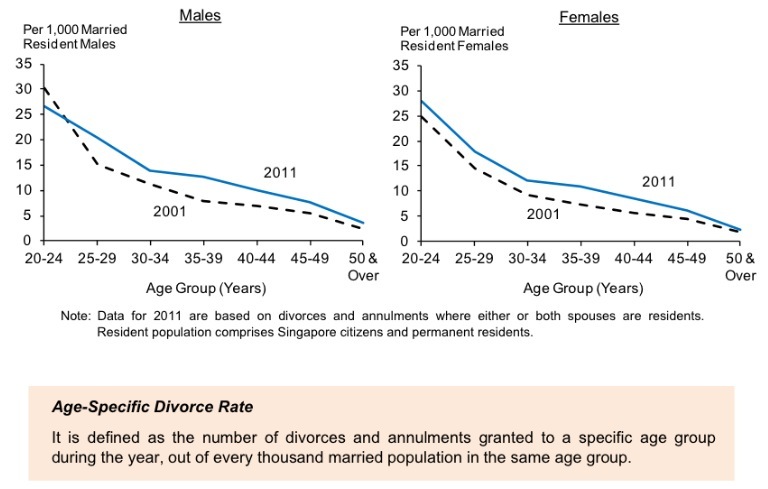 What this suggests then is this – while we are hoping, or forcing Singaporeans below the age of 35 who want to own their own homes to get married, so that they would be able to do so, we are inadvertently also fuelling a problem – higher divorce rates before the age of 35. Herein lies the contraction – at the expense of the “promotion of marriage and parenthood”, what kind of “mutual care and support” are we providing when the very people who are encouraged to get married are also the very ones who most likely to get a divorce – and not be able to receive the “mutual care and support” which the “promotion of marriage”, and with that, the purchase of the house, should, by which the policy suggests, should confer? If you want to buy your own home, get married. Otherwise, wait until you are 35 years old. Looking at the statistics – if you get married before 35 years old, you are more likely to get a divorce. But regardless, get married to get your own home. Why? Because we need children. 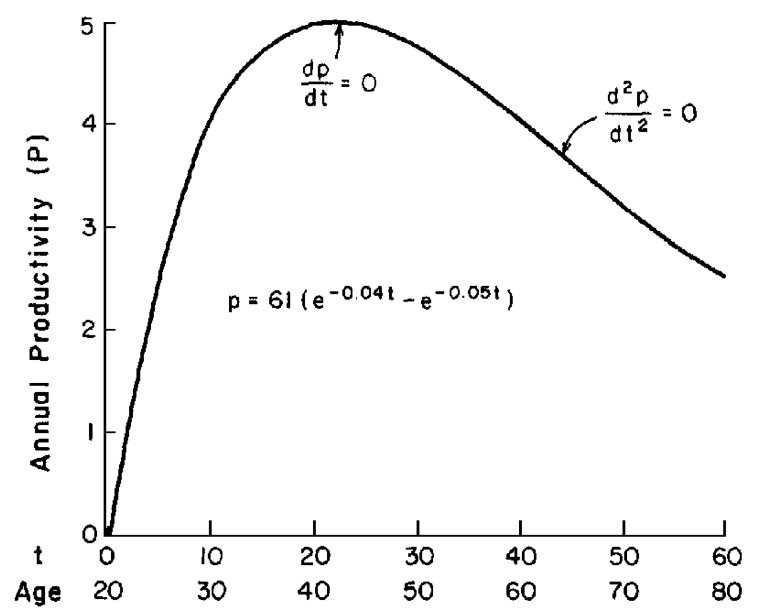 Fertility is most optimal before 35 and we have successfully ensured that the child-bearing age peaks before 35 anyway. So, in conclusion? Our policy works. I am not so sure about that. By so overtly tying the housing policy to the marriage policy, we’ve inadvertently created a population which has learnt to think about housing and how they can find means to afford housing. The negative effects of this can be seen precisely in the high divorce rates among the younger population. Inherently, what this suggests is that for people who have divorces, they do not have a good understanding of their partners, sometimes of themselves, and they do not have a good understanding of what a marriage, or even relationship entails. With these in mind, when problems occur within the relationship, are they able to resolve the problems that arise, or are they more likely to run away from the problem? Compounded with the issue that we have a policy which ties people’s want for their own homes with the idea that they should get married, what are the psychological effects as to how people make their decisions as to whether they want to get married or not – how much does housing weigh on their minds? I have heard several stories of how couples have gotten together to buy a home, only to realise right after marriage that they do not find each other suitable, or that they had decided to divorce a few months after the marriage. And how often do we hear of how a person might propose to his or her partner by asking if they would like to buy a home together? This might be a joke, but is there some truth to it? The fundamental issue I would like to bring up is this – The Singapore government wants to encourage Singaporeans to get married before 35 years old, so that they can give birth before the optimal fertility period, so that this can add to the workforce. Yes, we want workers, and that’s why the policy of preventing singles below 35 years old to buy their own homes, and thus encouraging people who want to buy their own homes to get married, has become an economic motivation for the government to protect. But at what expense? Whether or not the government has intended this policy to create the side-effects that it has now – where whether people want to buy their own homes do weigh heavily in their decision for marriage – the policy has in fact created this side-effects which are not healthy to the social fabric of Singapore. You want a Singaporean who is aware of what he/she wants, what he/she wants to find in a person and go into a relationship with a healthy frame of mind to be able to manage the issues that arise within the relationship in a positive, healthy and cultivating manner. Not forgetting that at the age where the government wants Singaporeans to get married, it is also the age where the government wants Singaporeans to commit themselves in the workforce. In Chart 7, you can see that the peak of women’s participation in the labour force is at the 25-29 age group while the peak for men is in the 35-39 and 30-34 age groups. Singaporeans are forced to commit themselves to work, and also commit themselves to getting married and giving birth. In between all these, do they have enough time to think about themselves and what they want in a partner, and how to achieve it in an optimal manner? 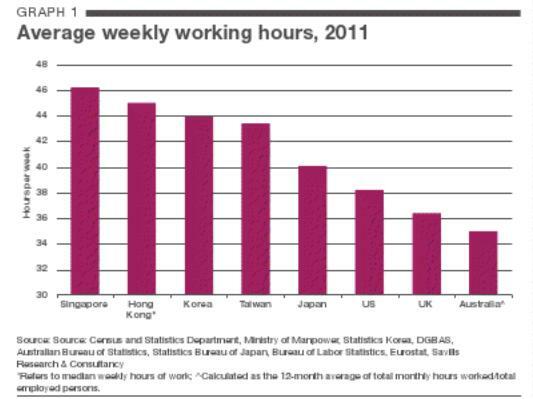 According to the Singapore Business Review, “Singaporeans work the longest hours at 46 hours per week” among top cities, as can be seen in Chart 8. All these factors compounded, what this means is that for the Singaporean aged between 25 to 34, they are made to think about and commit themselves to some of the most critical decisions of their lives. Yet, they are not given enough time to think about these issues, due to the long working hours, and they are also made to decide on these issues, based on critical decisions such as owning their own homes. For the government, is it still wise for the government to peg the idea that if a Singaporean wants to own a home, whether they are married or not would necessarily have an effect on their decision making? This not only discriminates against the single person but the person who decides to marry (or not) as well – this policy acts to further complicate their decision-making. This policy might serve its economic purpose, yes, but is it useful or healthy for the social fabric and development of Singapore? And I think the answer is pretty clear. Does the government want to insist on pursuing policies which will sustain the economic condition of Singapore, whilst neglecting the social, psychological and emotional condition of Singaporeans? And I think this is a question that not only the government, but Singaporeans, have to ask ourselves. 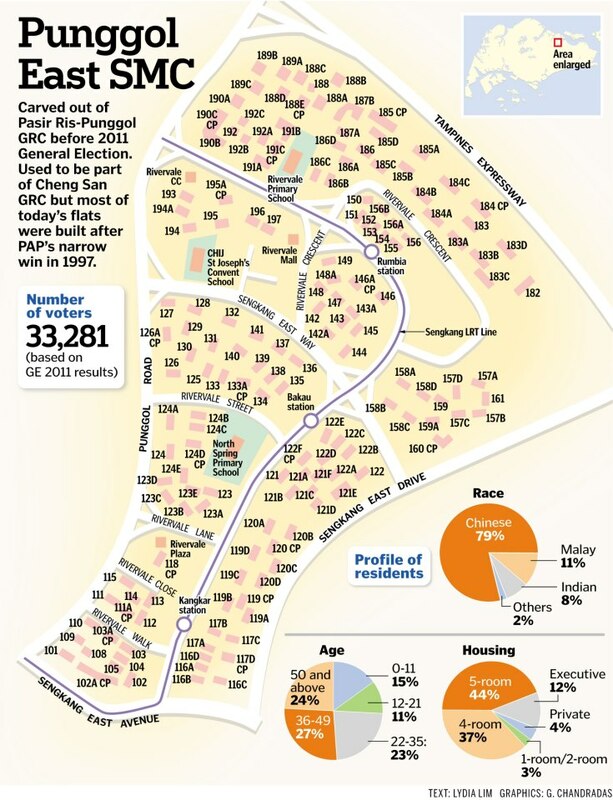 For the residents of Punggol East constituency (which are really the residents of Sengkang East and Rivervale – you can see the map below to know if you are in Punggol East), you have to also think about this. Do you want your children to grow up in a country which so fervently focuses itself on economic issues and policies shaped towards generating revenue for the economy, whilst at the same time, neglecting the social, psychological and emotional growth of Singaporeans, even as it adversely affects the social dynamics of Singaporeans and the psychological interpersonal relationships among Singaporeans? And I think the answer is pretty clear as well. For this by-elections, as I have said before, your vote is a very strong symbolic decision as to whether Singaporeans will be heard. Your vote and your decision will represent the intermediate voice that Singaporeans can give to the PAP government about what we think, nearly two years since the last general elections. Have they done what they should have done? If you do not think that they have done so, you have to vote decisively and firmly away from the PAP.